Few facts of European history appear to be as widely known today as the following: the genocide against European Jews was initiated and implemented by Nazi Germany during the Second World War, and primary responsibility for the murder of its six million victims lies with the German state and society of the time. The Holocaust was a European event in the sense that there were numerous perpetrators and even more numerous collaborators across the continent from Ukraine to France and from Bulgaria to Norway. A key aspect of the murder campaign by Nazi Germany and its various allies and collaborators was its enactment in otherwise highly diverse places, irrespective of such basic factors as the size of local Jewish communities, their levels of social integration, or types of political and cultural orientation (just recall the major differences in these respects between the Netherlands and Greece, or between Belarus and Italy). In other words, the genocide against European Jews, unlike other major instances of genocide in the past century, such as the Armenian, Rwandan or Cambodian, had practically nothing to do with the specific constellations of a region or a country. It amounted to an ideologically motivated, practically pan-European and systematically executed programme. Notwithstanding some notable exceptions, such as Spain or Ukraine, the geographic scope of the Holocaust closely overlaps that of the European Union today. Crucially for my argument, this statement about close geographic overlap could not have been made before the EU enlargements of the early 21st century. After all, nearly every area that is part of the European project today experienced the Holocaust, but did so far from uniformly. During the late 1930s the five largest Jewish communities on the European continent resided in Poland, the Soviet Union, Romania, Hungary and Czechoslovakia, all of which later became members of the Eastern bloc. Jews from East European countries came to account for the large majority – well over five million, or about 90% – of all the victims of the Holocaust, with Jews from prewar Poland alone constituting about half the total. By contrast, major Jewish victim groups from Germany, the Netherlands, Belgium and France together constituted around 6% of all victims. This means a still terrifyingly large number of over 350,000 individual murders – genocide on an unprecedented scale in modern western Europe – but the numbers for each of these four countries are notably lower than the relevant indicators for a host of lesser known cases such as Ukraine, Romania, Hungary, Belarus or Lithuania. While any encompassing history of the perpetrators ought to prioritize Germans and Austrians without making them the exclusive focus, any inclusive and adequate history of the victims would have to begin with Poland and eastern Europe at large before arriving at the European level. Surprisingly, while there has been consensus on the former point ever since the war, the latter is far from established practice even today. Many of the finest historians of the Holocaust who devote attention to the Jewish experience of the Nazi era tend to focus almost exclusively on Jews in Nazi Germany prior to 1939 – to take an eminent example, Saul Friedlaender’s justly praised The Years of Persecution. Such books thereby largely neglect Jews from elsewhere in the same years – people who came to account for some 98% of the victims. What is more, the crime of the Holocaust was committed primarily on the pre-war territory of Poland and the Soviet Union. The main extermination camps of Operation Reinhard, most infamously Bełżec, Sobibór and Treblinka, where the majority of Polish Jews were murdered during the main phase of the Holocaust in 1942-43 and which in fact were little more than killing facilities, are all located in what is now Poland; the main sites of the Holocaust where victims were killed by bullets, a method that started and reached its peak in 1941, such as Mikolaev or the Babi Jar ravine just outside Kiev, are in Ukraine; even the Reich-territory that Auschwitz constituted during World War II – a surprisingly little known fact in Germany today – belonged to Poland both before and after the war. Not forgetting several key exceptions such as Bergen-Belsen or Dachau, one might still state that almost all of the major sites of Holocaust perpetration and nearly all the main sites where the human remains of tens or even hundreds of thousands of Jewish victims are to be found were located on the eastern side of what became the Iron Curtain. It should be added that postwar eastern Europe contained not just the major sites of Jewish death, but at first also several of the major locations of Jewish life in Europe. In the early postwar years, the two largest Jewish communities in Europe were those of the Soviet Union and Romania – even though their numbers were to dwindle in subsequent decades due to mass emigration. More generally, with the unprecedented destruction of European Jewry during World War Two, the main Jewish centres of the world clearly shifted to other continents: to the United States of America and, increasingly, to the newly founded state of Israel. Due to waves of emigration out of eastern Europe and Jewish flight from Arab countries in the context of the Israeli-Arab conflicts, the aforementioned two countries currently account for over 80% of the Jewish populations around the world – a previously unseen geographic concentration in modern times. A consequence of this larger shift with direct bearing on our subject is that Holocaust survivors and their descendants are thus more likely to reside outside Europe than within it. The Europeanization of Holocaust remembrance that I am going to discuss has thus been unfolding in the context of the now rather marginal presence of Jews in Europe. Similarly, several of the major institutions dedicated to researching and commemorating the Holocaust, such as Yad Vashem in Jerusalem or the United States Holocaust Memorial Museum in Washington D.C., are also located outside the continent, even if many Europeans may have visited them and various projects of theirs exert an impact here too. Pre-89 Budapest, where I was raised, probably had the largest number of Jewish Nazi camp survivors in the whole of Europe. However, this was not something that was part of public knowledge at the time or that anybody would have ever mentioned to me in my youth. 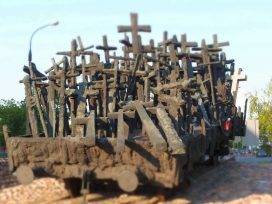 It was only during the deepening westernization and Europeanization of Hungary in the late 1990s, that remembrance of the Holocaust became a more prominent public matter. The word ‘survivor’ came to be uttered more frequently in the course of private conversations too, albeit discreetly. It was only around the turn of the millennium – in parallel with a major transnational wave of Holocaust remembrance epitomized by the launching of the Stockholm International Forum on the Holocaust – that it was openly and repeatedly stated in Hungary that Jews from my country were the single largest group of victims of Auschwitz-Birkenau. What exactly this striking and shocking fact had to do with Hungary’s role as perpetrator, however, remained much less frequently addressed at the time and is yet to be properly acknowledged to this day. At around the same time, it became popular for members of the more liberal and pro-European circles in Hungary to remark that the country had much left to do to belatedly confront its recent past and that the German way of dealing with its dark pasts, most particularly its responsibility for the Holocaust, could serve as an example. Rather characteristically for the intellectual horizons of early post-communist eastern Europe where former dissidents constituted a significant and, for me personally, the most intriguing part of the intellectual establishment, the transformation of the post-Nazi West German society into that of an enlightened and morally sensitive Federal Republic was associated with the almost magical year of 1968. The dominant position in West Germany of a laudably self-critical perspective was supposedly clearly demonstrated by the historians’ quarrel, the Historikerstreit, of 1986-87. The Memorial to the Murdered Jews of Europe, opened in the heart of Berlin in 2005 was meant to underline the point further that the cult of heroism and glory had gone out of fashion and that sober analyses and self-critical reflections had become the new norm. 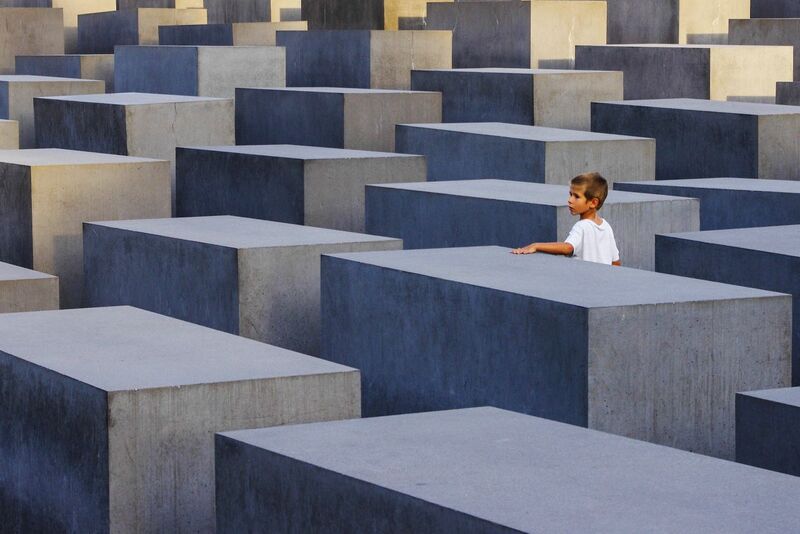 The Memorial to the Murdered Jews of Europe, also known as the Holocaust Memorial, in Berlin. In 2010, when I arrived in Germany as a relatively young historian, I was soon struck by the scholarly impact of the cohort of historians born between 1960 and 1966. In retrospect, this makes perfect sense: after all, members of this cohort had just started their academic and professional careers around 1989 and benefitted from – and greatly contributed to – the grand intellectual opening of Europe that followed: scholars like Frank Bajohr, Christoph Dieckmann, Christian Gerlach, Dieter Pohl, Sybille Steinbacher and Jürgen Zimmerer. The accomplishments of these historians all provide key examples of what the opening of counties such as Poland, Ukraine, Belarus and Russia in 1989-91 and, more specifically, the opening of their archives meant for German historiography of the Nazi times. It was this opening alone that created the possibility of studying the major Nazi crimes in their actual setting and based on documents from all of the most relevant sides. In fact, it was only the liberal democratic opening of Eastern Europe upon 1989, under serious threat today, which shifted German historical studies of Nazi Germany away from the first six years of the regime’s existence to the second six during the war. The Europeanization of the 1990s and a more earnest and in-depth engagement with Nazi history were inseparable processes. 1989 meant the end to the postwar order in the strict sense of the term: it was the year when the direct consequences of the war came to a sudden end. The era of the four-power occupation and division of Germany ended with reunification in 1990 and the country re-emerged, to utter a public secret, as the most influential state on the continent, albeit one strongly committed to deepening and enlarging the European project. A key part of the latter ambition was to base its relation to states in the east European area on a new and more open foundation – an area that had long been a byword in German discourses for backwardness, that was the previous target of German intra-European imperialism and colonialism, where the most brutal battles of World War Two took place, where the worst Nazi crimes were committed, and from where most Germans, after centuries of significant presence, had fled or been expelled. In 1989-90 the German drama and tragedy of the twentieth century was at once over, but this unexpected turn of history could alter the human catastrophes caused by Nazi German policies a few decades earlier only in the sense that, as already mentioned, new opportunities emerged for their detailed research and earnest transnational discussion. In other words, with the full rehabilitation of Germany, the German-European drama had ended while there was a growing sense in German society that the European Jewish catastrophe could never be atoned for, could never be wiedergutgemacht. In this context, I think it becomes explicable why it was precisely during the 1990s that research on and discussions of the Nazi period were so significantly transformed with the Holocaust becoming a prime preoccupation of both of historians and the wider German public. As Frank Bajohr, head of the research department devoted to the study of the Holocaust at the Institute of Contemporary History in Munich has emphasized, when it comes to the discourse around the persecution and murder of European Jews in recent decades, highly abstract reflections were supplemented by a plethora of empirical studies and very concrete answers. The topos of how indescribable, indeed unimaginable the Holocaust was has increasingly been replaced by the painting of terrifyingly detailed and precise pictures. Various aspects of Nazi German history have remained the source of sharp debates and recurrent public scandals in reunified Germany, even if the intensity of these conflicts seems to have subsided in recent years. In my assessment, these disputes of the post-Cold War era tended to revolve around the types and levels of participation of not explicitly Nazi institutions in Nazi crimes. The focus has been on a host of institutions from the German army through German enterprises to, more recently, various state ministries. With the greater distance of some two generations, German historians also had the chance to depict in a more realistic manner the sources of attraction, indeed the mass support, enjoyed by the Nazis without having to fear the charges of revisionism and apologetics. Nothing illustrates this better than the notion of Volksgemeinschaft or ethnic-racial community, which in earlier decades tended to be dismissed as a mere Nazi propaganda slogan, but is now a recognised concept in scholarly analyses. Last but certainly not least, the history of the perpetrators was no longer primarily written in the modus of elite political history but became a preoccupation for social historians too. The cumulative result of these trends was that the facile dichotomy between the ordinary and decent German, on the one hand, and the fanatically evil Nazi, on the other, cherished in postwar Germany for so long and for such obvious political and social reasons, started to be seriously doubted. In other words, while historical research completed in post-89 Germany fostered much more concrete and accurate knowledge about the history of the Holocaust, the broader intellectual lesson was that perpetrators could no longer simply be seen as ‘Nazi others.’ Their stories were rather meant to be viewed as grave warnings about the universal human potential for radical evil that only strong institutional guarantees and social norms could keep at bay. When we wish to understand the contemporary relations between Germany and east central European countries, it might be worth recalling that the notion of Central Europe experienced a veritable renaissance in the 1980s with the specific features and special attractiveness of Central European culture being recurrently emphasized. Conspicuously, the new-found popularity of this notion could be observed not in Germany or Austria, but among their eastern neighbours, that is to say among Czechs, Slovaks, Hungarians, and, to a lesser extent, Poles. Now this near-idealization of Central Europe and particularly its belle époque before World War One happened merely a few decades after the co-existence of Jews and non-Jews but also Germans and non-Germans in central and eastern Europe appeared to have come to a catastrophic and almost definitive end. The linguistic border between German-speaking and non-German-speaking areas was in the process of being consolidated already in the 19th and early 20th centuries with Jews often playing the crucial but increasingly threatened role of mediators. Such a linguistic border between German-speaking and non-German-speaking areas became extremely sharp in the 1940s, and appeared to be almost a nature-given fact by the 1980s. In retrospect, it is fascinating to observe how little the participants in the Central Europe-debate of the 1980s considered the relations between Germans and non-Germans to be a question of contemporary relevance: Germans, similarly to Jews, tended to appear more like subjects in historical memory to them. In the meantime, in mainstream West German discussions, the geographically close but symbolically much further removed territories of east central Europe were associated not only with backwardness but also with German guilt and with the partly compensatory remembrance of German victimhood. While the West German mainstream became firmly dedicated during the Cold War to what Heinrich August Winkler has called the normative project of the West, the memory of German presence and influence in the east central European region was cherished, above all, by the politically decreasingly relevant organizations of the expellees. Before the end of the Cold War decades, West Germans also started to actively engage in the ever deepening processes of globalization. As a result, many of them tended to perceive Paris, Barcelona or Washington to be nearer than Gdańsk or Prague. All this meant that the unexpected events of 1989 transformed the relations between Germans and non-Germans in central and eastern Europe at a time when only a select few were intellectually prepared to discuss them and even fewer were ready to earnestly confront the greatly changed realities. Relations between Germany and the east central European countries have been ambivalent, almost paradoxical, since. Institutional integration is currently accompanied by major differences in political culture, close economic integration goes hand in hand with significant gaps in levels of development, and the inherited sense of a common cultural space is being undermined by increasing linguistic alienation. With German no longer widely spoken in east central European countries as a second language either, most communication across the national borders of central and eastern Europe and most communication across the former East-West divide takes place in English. During the early decades of the Cold War, the stories and myths of anti-fascism and anti-Nazi resistance were carefully cultivated in Western as well as Eastern Europe and this included, ironically enough, the two Germanies too. These stories and myths belonged among the usable pasts across the various countries of a continent emerging out of the ruins of fascist conquest and defeat. Outside Germany, anti-fascism and anti-German interpretations of history often constituted an integral whole. Curiously, interpretations of the past which stigmatized Germany and Germans were in a dominant position not only in the public spheres of countries that had been brutally repressed during Nazi German occupations, such as Poland or Greece, but also in those – another irony – that had actually been allied to Germany, such as Italy or Hungary. 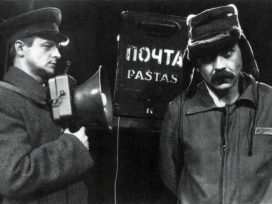 Viewing themselves as political communities founded on the tradition of resistance in the decades after the war, the idea that the French, the Italians or the Slovaks had to primarily account for their collaboration, and encouraging them to focus on their perpetrator roles would have struck many people as strange or even as rather offensive at the time. All its laudable and even necessary political impetuses notwithstanding, the anti-fascism of the early postwar decades had a vested interest in distinguishing between the criminality of narrow elites and the supposedly heroic resistance of the broad popular masses. Whereas such self-serving perspectives started to be challenged in countries such as the Netherlands or France before 1989, in communist-dominated eastern Europe they by and large held sway. This was either because anti-fascism resonated so obviously with the basic war experience of local society, and this was clearly the case in Poland and the Soviet Union, or because anti-fascism had an essential political-ideological function in legitimizing communist regimes despite contradicting the actual war experience of the given country – Romania and Hungary being cases in point. With the eastern opening of 1989 the history of occupations, the role of peripheries in the Holocaust as well as questions of collaboration or, more neutrally, cooperation with the Germans would come into sharp focus. A key agenda was to write the history of the Holocaust as European history and this implied devoting added attention to non-German perpetrators, supporters and beneficiaries. Such an ambition to internationalize discussions and extend critical reflection was connected to the policy of intergovernmental organizations such as, most importantly, the International Holocaust Remembrance Alliance, which was founded in 1998 under a slightly different name. If such intergovernmental agreements might at times risk appearing like top-down ventures, there have fortunately also been growing horizontal connections across countries which deserve equal attention. Here are some facts which would have greatly surprised European publics in 1989 but which have been clearly demonstrated since: the Romanian anti-Jewish violence in the very early phase upon the attack on the Soviet Union was even more brutal and lethal than that of Nazi Germany itself; Slovakia was the first country to deport the majority of its Jewish population to Auschwitz-Birkenau in 1942 and did so largely independently and willingly; the Croatian Ustaša regime murdered tens of thousands of Roma people under its rule without the direct involvement of the Germans and in fact without any such request from them; Hungarian extremists appointed by Regent Horthy in 1944 outbid the occupying German génocidaires in their radicalism and proved eager to speed up the deportations, thereby extending the murder campaign; Lithuanian Sonderkommando actively participated in the mass murder of Jews and, to all intents and purposes, amounted to a Lithuanian equivalent of the more widely infamous Nazi Einsatzgruppen; non-German recruits of the SS constituted key pillars of what some have called a European army under a German flag; the highly controversial Trawniki men of various Soviet nationalities, recruited from among German prisoners of war, played a major part in the actual day-to-day implementation of the Nazi’s Operation Reinhard; last but not least, other non-state actors perpetrated acts of violence, such as the Polish villagers of Jedwabne who burned their Jewish neighbours in a barn shortly after the occupation of their area as part of the German attack on the Soviet Union. In summary, several east European states and numerous members of these societies not only actively contributed to the Holocaust but often took the initiative and at times radicalized the genocidal process further. Add to that the fact that all of the five states which acceded to the Tripartite Pact originally signed between Germany, Italy and Japan in 1940 were central and eastern European ones (namely Hungary, Romania, Slovakia, Croatia and Bulgaria), and we may need to begin to view the Axis powers in Europe as a broader alliance. This alliance may have been dominated by Nazi Germany and, to a lesser extent, by Fascist Italy but it was an alliance of a larger number of states. The moot question regarding the Europeanization of the Holocaust in terms of its perpetrators is therefore one of balance: how to balance our inherited image of a German-led and -directed genocide – which I have referenced above as one of the most widely known facts of European history – with the relative autonomy of multiple non-German actors actively contributing to the same process? In the politics of history today, the official German and European position is that German responsibility has a kind of absolute priority. German representatives might find it desirable if other countries confronted their shared responsibility but they would not by any means want to appear to be forcing this process and attempting to transfer responsibility. It might sound like mere nuance at first hearing, but I am convinced it would make a real difference if this ‘absolute priority’ of German responsibility and the ‘shared responsibility’ of others were replaced by a less categorical and hierarchical perspective, which would rather emphasize the primacy of German responsibility as well as the direct responsibility of variously co-operating states and societies. To my mind, such a subtle change could over time amount to a major step in Europeanizing the remembrance of the Holocaust. However, neither Germany nor any other major actor seems willing at the moment to meaningfully encourage such a change. Therefore, the potential for such Europeanization has to be assessed as rather limited for now. 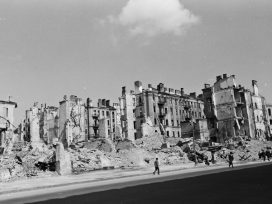 The major challenge that the eastern opening of 1989 has brought to studies of the Holocaust derives from our increased awareness that the respective histories of Nazi Germany and the Soviet Union were intertwined in multiple ways. As Timothy Snyder has aptly reminded us recently, the Holocaust was launched and largely realized on the occupied territories of the inter-war Soviet regime and in areas the Soviets had just occupied between 1939 and 1941. Now we do not have to accept Snyder’s claim about the crucial role of dual, Soviet-Nazi occupations in enabling the Holocaust to realize how important the pre-history of Stalinist rule was in the Baltics, eastern Poland or Soviet Ukraine, or to accept that the mass violence against Jews happened at a place and time of several other major cataclysms. We do not have to share Snyder’s specific interpretations to realize that he identified a major need. This need concerns an integrated history of Nazi and Stalinist violence in central and eastern Europe that explores the connections between them while clearly distinguishing between their varied forms to thereby also demonstrate what was truly unprecedented about the Holocaust. Aiming to satisfy this need, the agenda of Europeanization has to confront serious obstacles. Comparisons between Nazi and Stalinist rule – i.e. 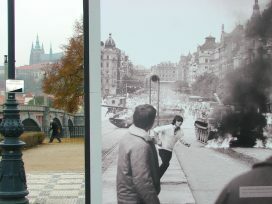 comparisons that pay due attention to similarities as well as differences – have remained something of a taboo in Russia and have not been encouraged much, albeit for different reasons, in Germany either. In the meantime the countries in between these two great powers have come to prefer a simple equation between the criminality of the two great dictatorships. Thus, much remains to be done to arrive at an encompassing presentation of Nazi and Stalinist rule that would explore their in parts wholly independent and in parts intertwined histories in the highly complex area of central and eastern Europe. I am convinced that such an encompassing history, if sufficiently nuanced, could greatly help improve the quality of European discussions about recent history. However, with all the major national players apparently uninterested in fostering such a change, the chances of realizing this plan have to be assessed as being even lower than that of further Europeanizing the remembrance of the Holocaust in the manner sketched above. The interactions between German and east central European memory cultures since 1989 have been crucial in transforming our perceptions of the Holocaust, and this may be considered a major accomplishment. 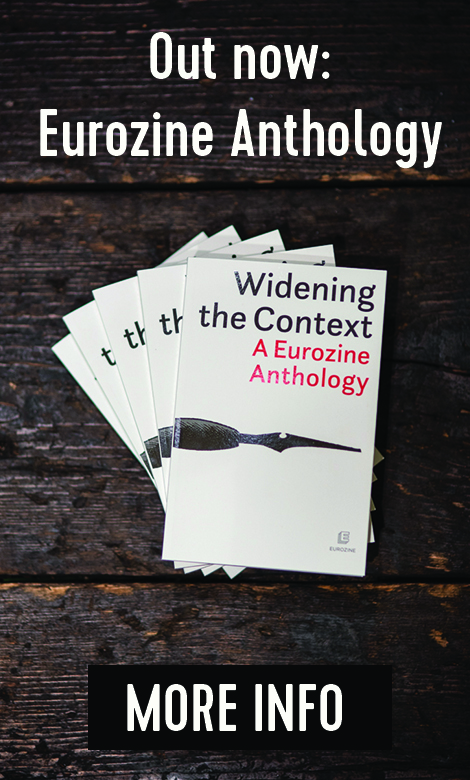 However, concurrent discourses on shared European responsibilities have not yet established themselves as mainstream, demonstrating the continuing limits to the Europeanization of Holocaust remembrance in our age. This text is based on the Holocaust Memorial Lecture, delivered by the author at Maastricht University on 23 January 2018. 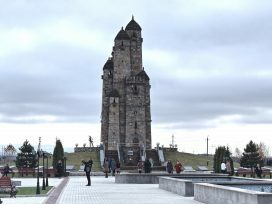 The memory of Stalin’s Terror is now receiving more attention in Russia than at any time since the 1980s. However, the scope of the debate needs to be widened still further, argues Daria Khlevnyuk.